New Zealand have appointed Kane Williamson as their captain in all three formats of the game. 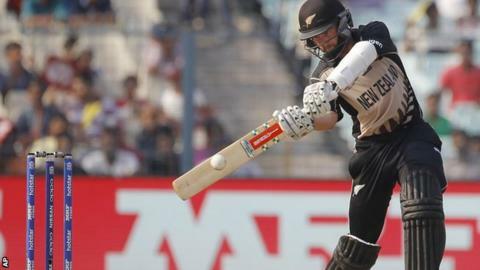 He has led the one-day international and Twenty20 sides following Brendon McCullum’s retirement, but Williamson’s position now becomes official. The 25-year-old, who will return to Yorkshire for a third year in June, has also been named Test captain. “It’s certainly an honour,” said Williamson, ranked by the ICC as the third best batsman in the world. Have you added the new Top Story alerts in the BBC Sport app? Simply head to the menu in the app – and don’t forget you can also add alerts for the Six Nations, cricket scores, your football team and more.